New rules requiring disclosure of long contracts for difference (‘CFDs’) and similar derivative products having a ‘similar economic effect’ have come into force from 1 June 2009 in the UK. They extend significantly the existing disclosure of major shareholdings regime in Chapter 5 of the Disclosure Rules and Transparency Rules (‘DTR 5’) published by the Financial Conduct Authority (‘FCA’). Currently, a person must notify certain issuers of the percentage of voting rights they hold once prescribed thresholds are triggered. In the past the UK regime required any direct or indirect holding of 3% or more of the voting rights and every 1% change thereafter to be disclosed. By themselves, CFDs confer no rights to acquire the underlying shares, nor to control the voting rights of those shares, and as a result did not require public disclosure under the UK’s Disclosure and Transparency Rules (‘DTR’). Similarly, the earlier disclosure provisions under the Companies Act 1985 only caught “interests in shares”, which focused on legal rather than economic relationships. The new rules aim to enhance transparency of synthetic long positions in UK shares and give companies and investors a clearer picture of who has significant economic control over listed shares. The new regime requires investors who hold 3% or more of a company’s voting equity through either shares, CFDs, or other relevant derivatives, or an aggregation of shares, CFDs, and other relevant derivatives, to disclose their stakes. Further disclosures will be made at increments of 1 per cent (in the same way as shares currently are). The disclosure requirements, explained below, refer to gross long CFD positions. This means that in determining whether the disclosure thresholds have been triggered, the CFD holder must disregard any short positions held in the referenced shares. The amendments apply in respect of UK incorporated companies whose shares are admitted to the Main Market, AIM or PLUS. Overseas companies whose shares are admitted to the Main Market, AIM or PLUS will therefore not be subject to the CFD disclosure requirements, but non-EEA companies whose shares are admitted to the Main Market will continue to be subject to the major shareholder notification regime apart from these requirements. long CFDs or similar derivative products which are not qualifying financial instruments but are referenced to shares and have a similar economic effect to qualifying financial instruments. This will be the case if the holder has, in effect, a long position on the economic performance of the shares. Why has the FCA made the changes? In the past CFD holders were not required to disclose their positions during the life of the contract. This allowed CFD holders to build stakes through CFDs anonymously. Also, previously CFDs and related derivative products fell outside of the scope of DTR 5, unless the instrument explicitly gave a right to acquire, or gave access to the voting rights attached to, shares held as a hedge by a CFD writer. The FCA has decided to bring forward the implementation of the new rules due to ongoing market turmoil, also claiming that the new rules are a very significant step in improving market transparency as it addresses certain ‘market failures’ by bringing long CFDs within the disclosure regime. Whilst CFDs are not a substitute for direct share ownership, the FCA concludes that in certain circumstances they can be used in ways ‘the intention of which the regulatory regime is designed to catch’. Specifically, a survey of market participants found that CFDs are sometimes used by CFD holders to seek to influence voting and other corporate governance matters on an undisclosed basis. In such cases the CFD holder would control access to the shares or exert influence over the shares indirectly through its counterparty, usually an investment bank. For example, on termination of the CFD, the investor may wish to acquire the shares underlying the CFD, at which point the investment bank would be a natural seller of such shares. The investor may therefore be able to acquire the shares more quickly than would have been possible if the CFD had not been entered into (even though it has no contractual entitlement to do so). Also, the FCA has followed a number of recently reported cases where CFDs have been used to build up significant stakes in companies without prior disclosure. 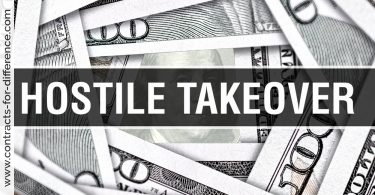 Under the UK Takeover Code, CFDs become disclosable during a takeover ‘offer period’. The inclusion of CFDs in the major shareholder notification regime would also complement the Takeover Code requirements. a prescribed market (e.g. AIM). The FCA has deliberately adopted a principles-based approach in shaping the new requirements to discourage the creation of innovative products in a bid to avoid disclosure. Amongst other things, this catches contracts for difference and other derivative products such as cash-settled options and convertibles over unissued shares. This applies to long positions held through contracts for difference, swaps, options or forward sale contracts, even if cash-settled, whether or not the investor has the ability to control voting rights or obtain physical delivery of the underlying shares. Exchange-traded derivatives are covered. Short positions are not covered by this regime. Instruments which give a legal right to acquire shares which are not yet issued (such as convertible bonds and warrants) are also caught. The FCA’s view is that they allow for the acquisition of voting rights in an issuer and as such could be used to build stakes in companies. On the other hand, where an instrument gives rise to a conditional right to acquire a CFD or similar derivative product, provided the transaction is subject to conditions beyond the control of both parties, the FCA expects a notification to be made only when the relevant conditions are fulfilled. This would cover, for example, nil paid rights and placee rights which are subject to shareholder approval. It would not cover the choice of whether to exercise an option as that is within the control of at least one party. In determining whether a relevant threshold has been reached or crossed (with respect to a UK issuer) holders must aggregate their direct and indirect holdings in shares, qualifying financial instruments and CFDs. Aggregation was deemed necessary not only to prevent a ‘loophole’ which would have allowed an investor to build up a covert stake of up to 8% through a combination of shares and CFDs, but also to avoid a costly parallel disclosure regime. These new rules will bring the DTR much more in line with the disclosure obligations imposed by the UK Takeover Code in respect of CFDs written on shares subject to a takeover offer. The denominator to be used for determining whether a disclosure is required is (as now) the issuer’s total voting rights in issue based upon that issuer’s most recent total voting rights disclosure. This is the case even if the disclosure relates to convertibles over unissued shares. The FCA has confirmed that the Rules are intended to catch gross long positions held through CFDs without netting any offsetting short positions. This is because it is only the long position that is relevant to the control of voting rights. So (as with the existing DTR 5 rules), a person may have a disclosed long 15 per cent position but may also have a non-disclosed offsetting short position. Save in relation to companies subject to a takeover offer, and save as required by the new short selling rules, there was previously no requirement in the FCA’s Disclosure Rules and Transparency Rules to disclose holdings of CFDs, provided they were cash settled and did not confer voting rights. The FCA is concerned that, without disclosure, companies cannot identify who has significant economic exposure to their shares which could result in inefficient pricing in the market. The nature of a CFD means that a holder can gain economic exposure to a particular share without being required to pay the full market value of that share. The holder gains no voting rights, but can usually switch the contracts into holdings of the underlying shares. This has meant that CFDs have been used for many years to build positions in public companies without the need for any public disclosure. The new rules significantly tighten the UK disclosure regime and make it more difficult for investors to build significant economic stakes in UK listed companies using cash-settled derivatives without disclosure. The Rules also go beyond the requirements of the EU Transparency Directive, implemented in the UK in January 2007, and make the UK regime tighter than many other EU Member States with regard to disclosure of synthetic positions. The new rules are in line with stricter rules already introduced by the UK Takeover Panel (Panel) in 2005, under which dealings in cash-settled derivatives became disclosable during takeover offer periods. What are the requirements that will apply? This is a single threshold for both shares and CFDs requiring disclosure once a holding reaches 3%, and subsequent disclosures being required where holdings increase or decrease above or below the 1% steps set out in the Disclosure and Transparency Rules. An exemption for CFD writers is in place to reduce unnecessary disclosures and reduce the cost of implementing the systems for disclosure. This will be similar to the Takeover Panel’s disclosure exemption for banks and securities houses with Recognised Intermediary status. So basically CFD writers are exempted from disclosure where they are only acting as intermediaries and providing liquidity. First, in relation to the basis on which disclosures should be calculated, the FCA has decided that disclosures should be made on a delta-adjusted basis, save that reporting on either a nominal or a delta adjusted basis will be allowed for a transitional period of 7 months from implementation. The delta-adjusted basis is explained below. Second, the FCA confirms that the new disclosure rules will be effective from 1 June 2009. What is a Delta-Adjusted basis? Disclosures must be made on a ‘delta-adjusted basis’. The delta of an equity derivative represents how the change in the pay-off of that derivative changes in relation to the change in price of the underlying equity. A CFD, for example, would normally have a delta of one, as it perfectly mirrors a change in the underlying share price. The advantage of a delta-adjusted disclosure obligation is that it more accurately affects the holder’s real economic exposure to the underlying shares. 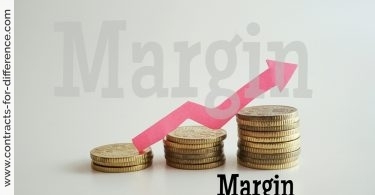 This approach has the effect of differentiating between a call option which is out-of-the-money by a significant margin (and therefore has little real economic value) with a call option over the same number of shares which is in-the-money. The latter has a real economic value and is likely to be hedged by the writer of the option acquiring the shares to hedge its exposure. The holder of a call option in such instances is under an obligation to recalculate its delta-adjusted holding on a daily basis (at the close of business). Company A has one million shares. A CFD for 100,000 share in Company A has a delta of 1. Therefore the appropriate calculation would be (100,000 x 1) / 1,000,000 which gives a disclosure of 10% of Company A’s shares. A cash settled call option for a notional 100,000 shares in Company A has (at transaction date) a delta of 0.2. Therefore the calculation (100,000 x 0.2) / 1,000,000 gives an answer of 2% of the company’s shares and no disclosure is required. To determine the delta value, the FCA is of the view that standard option pricing models are readily available. The new rules catch derivatives in addition to CFDs. The precise wording of the new instrument states that in addition to disclosing interests in ‘qualifying financial instruments’, a person must make a notification in respect of any financial instruments held directly or indirectly which are referenced to the shares of an issuer and have similar economic effects to (but which are not) qualifying financial instruments. The effect is that although the focus is on CFDs, the FCA intends that all similar economic interests are disclosed. 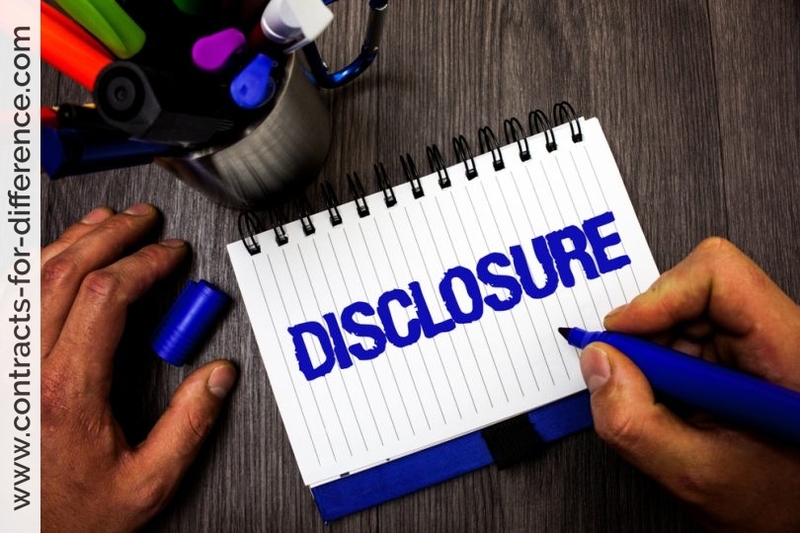 The new DTR requirement to disclose CFD positions will apply alongside the disclosure regime under the Takeover Code during an offer period, so separate notifications will be required. The FCA is in the process of consulting separately on long-term proposals for disclosure of short positions, which it views as an issue of market conduct, rather than transparency and voting rights. Its proposal, as set out in its February 2009 Discussion Paper, is that individual net short positions held in all equities and their related instruments of UK incorporated issuers should be publicly disclosed on reaching a threshold of 0.5 per cent. An FCA feedback statement is expected to be published in the third quarter of 2009. The current position is that net short positions of 0.25 per cent or more in companies undertaking a rights issue and certain financial sector companies are disclosable. These disclosure requirements must be complied with separately and in addition to the DTR 5 requirements. The major shareholder notification requirements were substantively harmonised across Europe in early 2007 when most member states adopted the Transparency Directive6. Under the Transparency Directive, member states are required to ensure that, where a shareholder directly or indirectly acquires or disposes of shares of a company whose shares are admitted to trading on an EEA regulated market, and such shareholding exceeds or falls below certain prescribed thresholds, the shareholder will be required to notify to the issuer the proportion of voting rights that it holds. The Transparency Directive imposes minimum standards which must be incorporated into national law by members states. By focusing holdings of voting rights, CFDs are not covered in the major shareholder notification regime in the Transparency Directive and, to the extent that they wish to bring CFDs within the scope of their national regimes, member states will have to impose more stringent national requirements. The disclosure regimes for CFDs and other derivatives differs in each member state. CFDs and similar derivative instruments have drawn the attention of securities regulators in a number of jurisdictions. In Europe, even though the Transparency Directive has provided harmonised minimum requirements, CFDs are excluded from those requirements and individual member states will need to take specific legislative steps if they are to impose more stringent national requirements to provide for the disclosure of CFDs. CFDs have attracted considerable attention internationally in the last few years. When the Porsche car manufacturer revealed in October 2008 that, in addition to the 42.6% equity stake that it already held in Volkswagen, it also held cash-settled options in respect to the 31.5% of the total issued Volkswagen stock capital (thereby in practice having an economic interest in Volkswagen of 73.1%), investors and speculators fought each other in a short squeeze and Volkswagen’s stock price rose sharply from around € 200 to € 1,000 in a few days. The German’s financial regulator, BaFin, made an enquiry and reached a conclusion that Porsche did not breach any stock exchange laws by doing so. In addition, during the takeover battle regarding ABN AMRO, it emerged that members of the consortium (ie RBS, Santander and Fortis) had built-up a holding in ABN AMRO of about 4% of the entire issued share capital via derivative structures, in addition to the 4% already held by them directly. Also, in the case of Continental/Schaeffler, Schaeffler was denounced of having effectively increased its shareholding to a controlling stake of about 36% without notifying the market. Schaeffler had done this via a swap transaction for 4.95% of Continental stock (under which the swap counterparty had to to sell the stocks to Schaeffler) and a number of other cash-settled transactions for another estimated 28% of Continental shares. These incidents led to outcry from market participants regarding the exemption of contracts for differences and similar instruments under the respective disclosure rules in Europe countries. The basis of the argument was that although holders of CFDs do not own the assets in question and thus weren’t entitled to voting rights, there is a risk that their counterparties (most of the times holding the Underlying stock to hedge their exposure under the relevant contract for difference) would utilise the voting rights attached to the Underlying Shares in parallel with the interests of the CFD holders, creating a non transparent scenario (for example in general meetings of stock holders). Disclosure of such positions should reduce this risk. Another argument arises as to the financial ambiguities created by a non-transparent market. We have witnessed Volkswagen’s stock price spiralling up when Porsche finally made known its percentage of cash-settled options. In takeover situations, stake building by the offeror is usually considered as sensitive data that is important to other stock holders in the company. If an offeror can increase its economic stake in the target company in a concealed manner, this will create a situation where the stock price of the target company remains generally unmoved. If and when such a suitor decides to make its bid for the target company known to the public (assuming the bid will be at a higher stock price level than the price the offeror paid to acquire its economic stake in the target company), the offeror will gain from the fact that it has economically acquired a part of the target company’s stock against a lower price, thereby making its entire bid for the target enterprise less expensive. References: Clifford Chance paper: Disclosure of contracts for differences and other cash-settled equity derivatives. The UK Financial Conduct Authority’s (FCA) is demanding that contracts for difference, which give exposure to a company more cheaply than by buying shares outright, be disclosed to the stockmarket if they are worth more than 3% of the value of the relevant company, to avoid stealthy stake building in the previously unregulated areas. CFDs provide exposure to a share at a cost of about 10% of the actual share and avoid stamp duty. The holder is also able to convert the contract into stock, which means companies can suddenly find themselves with a large shareholder. The new disclosure rules which are mainly targeted at hedge funds will make it easier for private investors to see what is going on behind the screens as big holdings through contracts for difference will be disclosed as if they were shares. The FCA had not originally intended to require such a strict level of disclosure and had wanted to keep the need to report trading positions in CFDs, which drive up to 40% of daily trading volume on the stockmarket, to a minimum. The regulator appears to have been swayed, however, by the views of major institutional investors, which were concerned that CFDs could be used to gain an economic exposure to a company without market participants knowing and could affect the way the voting rights attached to the shares were used. An exemption will be made for CFD writers who act as intermediaries, similar to the Takeover Panel’s Recognised Intermediary exemption to reduce unnecessary disclosures. The rules will not be in place for 14 months. The FCA will publish the policy statement with feedback on the consultation, with the final rules released in February 2009. These will come into force in September 2009 latest. However, the FCA may try to advance that date. The FCA has also introduced surprise rules recently demanding short positions greater than 0.25% to declare bets against the shares of companies involved in rights issues. Derivatives, particularly CFDs, have become increasingly important as hedge funds seek to avoid public declarations of their holdings to gain easy access to leverage and, in the UK, avoid stamp duty. The FCA estimates CFDs account for almost a third of equity trading.